An east-west rail link across London was first mooted in the 1880s. More recent feasibility studies in 1974 and 1980 made little progress. A later attempt to promote the project on the back of the 1989 Central London Rail Study made more progress but failed when the Bill was defeated in the House of Commons and it was a further decade before the scheme was proposed in the Strategic Rail Authority’s London East West Study. This led to a joint venture with Transport for London (TfL) and a Bill for the current scheme was introduced to Parliament in 2005. By this time the growth of London was taking a severe toll on the existing London Underground system and the Central line in particular. 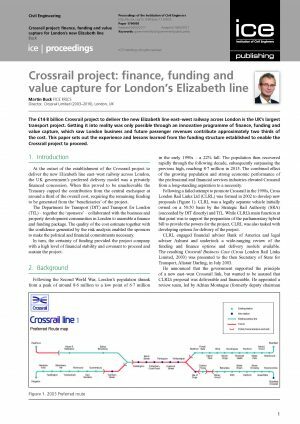 London’s pre-eminence in the financial services boom of that period meant that the question of why Crossrail was needed turned to how and when? An extensive review of the options culminated in the Montague Report in 2004 concluding that the cost assumptions were realistic but there was doubt around the capacity to deliver a privately financed solution. 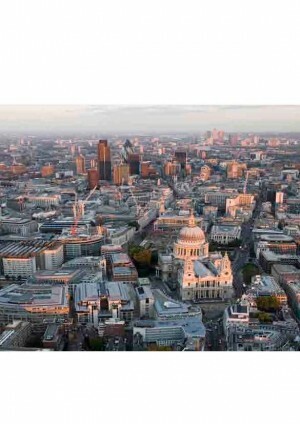 The report pointed towards assembling an alternative funding and finance structure to enable the project to proceed. 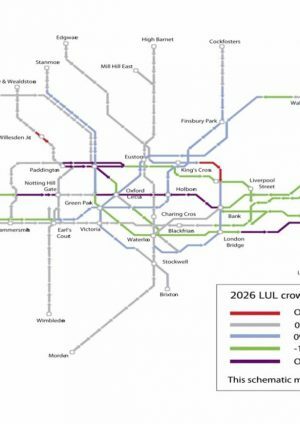 In October 2007 the Department for Transport (DfT) and TfL agreed a Heads of Terms for a funding package of £15.9bn and designated Crossrail Limited as the delivery vehicle for the project. Construction work started at Canary Wharf in May 2009. 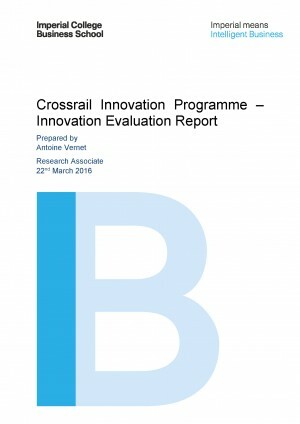 As a result of extensive value engineering and risk mitigation Crossrail was able to retire £1.1bn of the funding package in 2010 leaving a revised budget of £14.8bn. 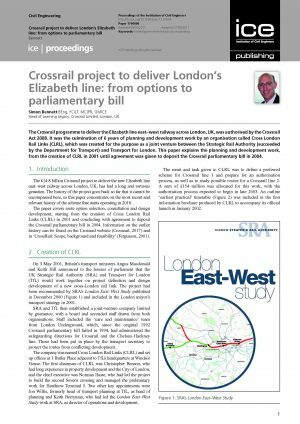 In publishing the PAC report in July 2014 committee member Richard Bacon MP cited Crossrail as a “textbook example of how to get things right” making strong reference to the structure and governance arrangements put in place between sponsors DfT and TfL and Crossrail Ltd. 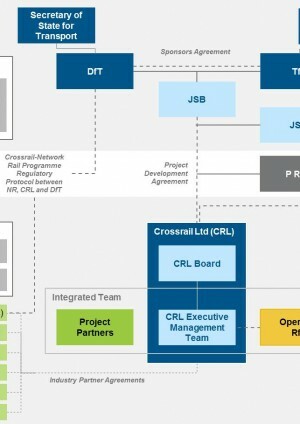 The Project Initiation and Development topic area examines through a number of subject areas how the Crossrail project developed from a compelling business case to a functioning delivery organisation. Crossrail is the biggest infrastructure project in Europe and the largest infrastructure investment in the UK in a generation. 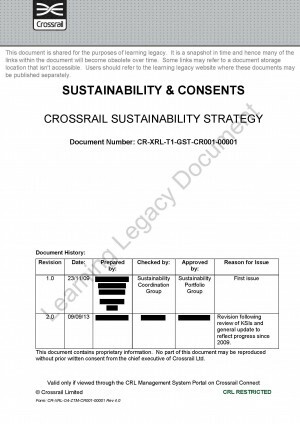 The learning legacy paper on the Business Case describes how the case was made for such a huge investment and how the wider economic benefits of the scheme were assessed, the learning for future schemes being that crucial stakeholder support can be based on benefits which may not feature in the traditional cost-benefit analysis. Prior to the Montague Report the Government’s preferred delivery model was a privately financed concession. When this proved to be unachievable the UK Treasury capped the contribution from the central exchequer at around a third of the overall cost requiring the remaining funding to be raised from the beneficiaries of the project. The learning legacy paper on Funding describes how the funding package was assembled. The funding arrangements created two separately accountable public sector sponsors – central government and London’s local government transport authority. Both sponsors were political bodies with separate and unaligned electoral timetables carrying the prospect of several combinations of political leadership over the 10 year project term. The learning legacy paper on Lessons Learned from Structuring and Governance describes the factors which shaped the delivery model structured around the creation of a sponsor organisation and a publicly owned and accountable SPV with an independent Board of Directors responsible for delivering the project.